Are you feeling exhausted & overwhelmed? Are you ready to relax, recharge and renew your spirit? 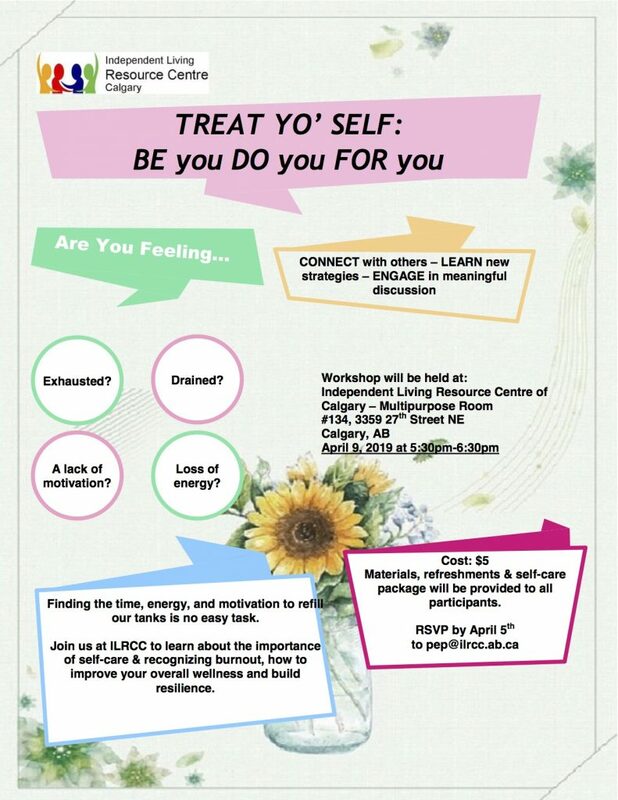 Join us at ILRCC to learn about the importance of self-care & recognizing burnout, how to improve your overall wellness and build resilience! All are welcome & feel free to share this with anyone you think could benefit. Save the date: April 9th 2019 5:30pm-6:30pm — Materials, refreshments & a self-care package will be provided to all participants. Please find the flyer attached for more details or contact us directly at PEP.